The Sparco SFI 20 is the ultimate drag racing shoe designed to be lightweight, comfortable and have superior fire protection. The SFI 20 is one of the lightest SFI 20 shoes in the world. The SFI 20 is made from high-quality suede and leather with a Velcro strap for greater angle support and hold. The SFI 20 has an ultra-thin, oil resisitant and anti-static sole that offers greater pedal sensitivity. The SFI 20 also has a comfortable Texon inner sole with anti-bacterial treatment. 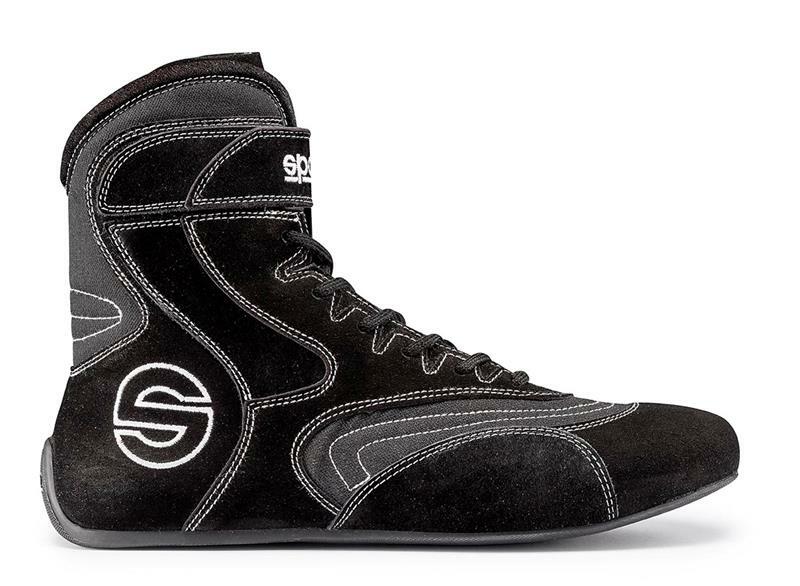 The SFI 20 is available in black, sizes 38-48.